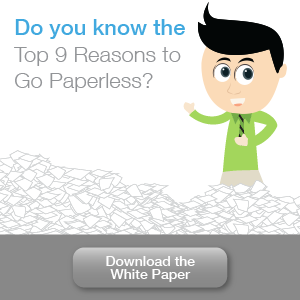 Businesses can eliminate these risks by switching from paper forms to PaperSave smart forms. Easy-to-manage electronic documents, smart forms offer a host of benefits. For starters, they remove the unnecessary processes and labor costs involved with handling paper forms. Instead of printing out a form and waiting for someone to fill it out, smart forms can be shared via email and the cloud. They can also be rendered in a variety of formats. Need your questionnaire displayed in a Word document or a PDF? Do you want a form for invoices, customer onboarding, and human resources? 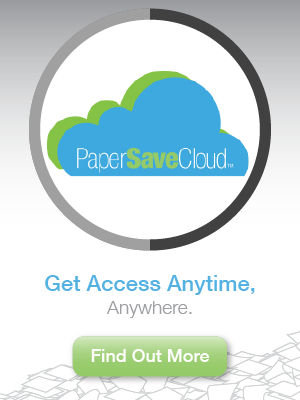 PaperSave lets you create forms however you like with just a few clicks. Smart forms can even be designed to make calculations on the spot and adapt its questions based on answers from previous fields. Most importantly, smart forms minimize data entry. As soon as you hit Submit on the electronic form, PaperSave instantly extracts the information from the form and stores it in a centralized database. Not only does this save your employees from tedious work, but it also gets rid of the data entry and filing errors associated with paper forms. These digital forms particularly make sense for employees who operate in the field because all they need to bring to the job site is a mobile device. And since everything is digitized, they never have to worry about illegible handwriting. Smart forms are more powerful when workflow automation is thrown into the mix. You can design workflows that instantly route form responses to the appropriate places, streamlining many repetitive and time-consuming processes. For example, pre-programmed approval workflows trigger a series of actions when users submit a purchase order request form. They will map the information directly to your accounting database, then send the form to approval managers and the purchasing department (if approved). The workflow may have as many steps as you need to ensure the information is signed off by the right people in the right order. And if managers need reminders to approve order request forms, there are workflows for that as well. In fact, you can automate recruitment, customer sign-up, and support ticket forms this way, freeing up your employees to focus on more important matters. Workflow automation tools are capable of validating form information, too. Forms can be set up to send automatic alerts to users if they accidentally enter numbers in a letters-only field or input information that doesn’t match the field’s format. This translates to faster data processing, better consistency, and fewer errors. The best part is these features integrate with any platform your organization is using and can be customized for any requirement. So, if you want your business to be more productive and competitive, there’s no reason why you should delay using these top-notch features. 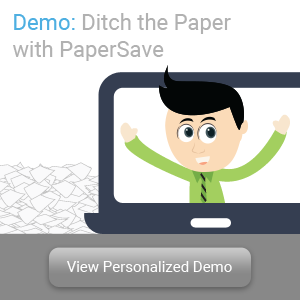 PaperSave smart forms let you design web-based forms that work seamlessly with workflow automation features. It’s intuitive and easy to set up, so any business can streamline their processes with minimal effort. But if you want more proof that these solutions will help your business, sign up for a free PaperSave demo today to experience the benefits for yourself.